Multi-award winning Freycinet Adventures offers two options; The Freycinet Paddle - the contrasts are stunning – pink granite mountains, pristine sandy beaches and blue waters so clear you feel you can touch the marine life below. The Oyster Paddle- glide by sea eagles, black swans and over 100 species of birds. Hear from one of Tasmania’s leading oyster farmers and taste an oyster harvested and shucked before your eyes. New: The Ultimate Weekender. 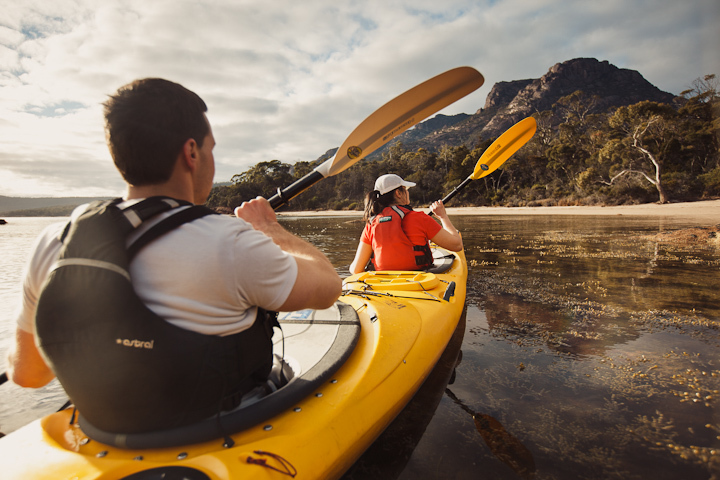 This 1 night, 2 day sea kayaking adventure is the perfect way to experience Freycinet National Park. No experience necessary, we provide all the gear, including all the catering and friendly guides. All guests need to bring is themselves! We have also priced it really well for such a unique adventure- $295.00 per person. 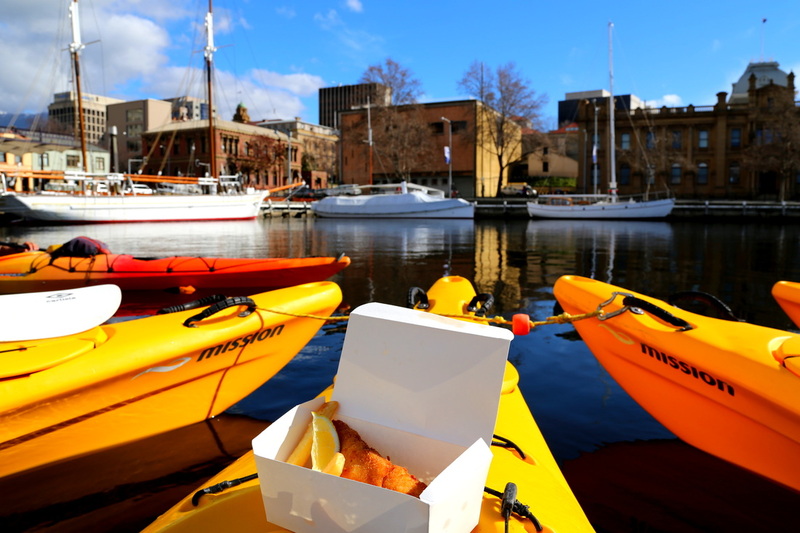 See Hobart’s waterfront from a perspective few get to experience – from your very own kayak. You’ll begin by paddling past historic Battery Point and gliding under fishing wharfs before entering the Hobart docks. Here you can paddle beside luxury yachts, tall ships, fishing vessels and possibly even Australia’s Antarctic research flagship, Aurora Australis. Enjoy an on-water dining experience with fish and chips from the comfort of your kayak while your guide fills you in on some local stories. Ask about their Tasman Peninsula and Tinderbox day trips as well as their three- and seven- day expeditions into the stunning south-west Tasmanian wilderness. Find hobart city kayak on Facebook - trips depart from marieville esplanade, sandy bay. Discover Australia’s finest kayaking and some of Tasmania’s most stunning coastline on a paddling trip with Roaring 40°s Kayaking. Paddling experiences suit everyone, from novices to experienced paddlers. If you are looking for a day adventure, fun and relaxation, a Roaring 40s nature-based day tour, departing from Hobart, is for you. Be humbled by the towering sea cliffs on the Tasman Peninsula or explore sea caves at Tinderbox Marine Nature Reserve. 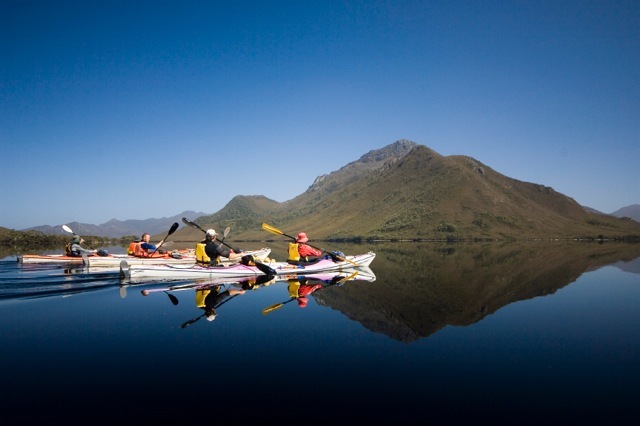 ‘Wilderness on Water’ multi-day kayaking expeditions, named by Lonely Planet as one of the world’s 10 epic sea-kayak paddles, explore the sheltered waterways and rugged coast of Port Davey and Bathurst Harbour in Tasmania’s Southwest World Heritage Area.